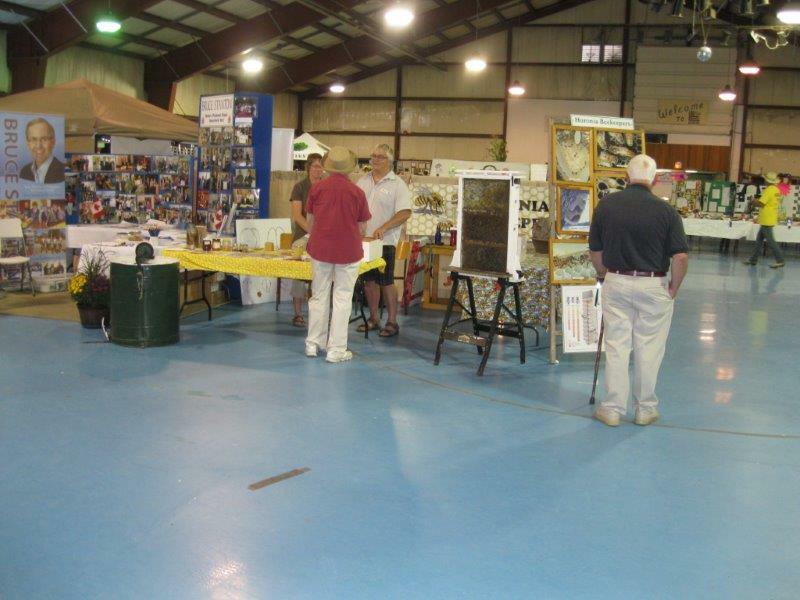 The Huronia Beekeepers Association ran a booth at the Orillia Fair this past weekend. Many members also entered their honey and beeswax in the fair. 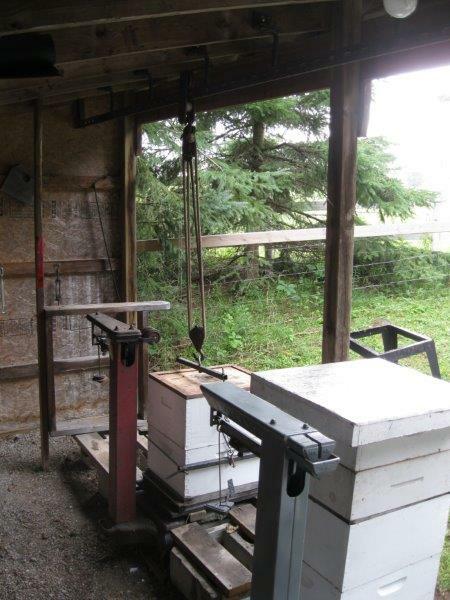 Allan Sinton contributed this photo of his hive lift and rail system. The scales in the photo are a good reminder that this time of year you should be checking your hive’s winter weight and feeding if necessary.